Damaged Playstation HDMI Port? STOP! Don't make it worse! trust your Console to the Gaming Repair professionals! No matter where you are in the Country, and need your Playstation 4 repaired, we have a central location at 360 Cobb Parkway South, Marietta, Georgia 30060, which is also Highway 41 and very close to Windy Hill and Marietta Parkway South. We also have another Marietta location inside of Cumberland Mall Marietta, Georgia 30064. We service Playstation and Xbox consoles and get you back to playing again. 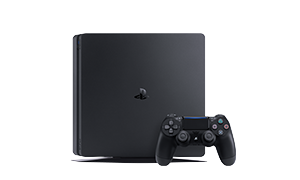 We also provide Playstion 3 repair Atlanta and Playstation 4 hard drive upgrades. We make PS4 console repair services easier for you with our mobile to site repair pick up and delivery services. We respond urgently to any cell phone screen repair questions and cell phone screen repair needs in Marietta. All walk ins are always welcome at 404 Computer Repair, just call us at (404)259-0183. We can honestly say 404 Computer Repair has the most reasonable Playstation repair prices, cell phone repair prices and Xbox prices, in Marietta Georgia.